There are various effective treatments for those struggling with a gambling addiction. First it is important to define a gambling addiction as well as signs and symptoms. A Need to gamble with increasing amounts of money in order to achieve desired excitement. Signs and symptoms if a loved one is gambling is the individual gambles to relieve stress, begins to lose interest in once enjoyed activities, begins talking about gambling more significantly and/or gambles over engaging in other activities or planned events. Further signs are lying or stealing to gamble, gambling alone, or getting into arguments over gambling behaviors. A person who is engaging in gambling behavior may go without food, or paying bills, or other basic needs to be able to gamble. They may also experience physical symptoms of migraines, lethargy, anxiety, and depression . There are Effective Treatments For Gambling Addiction available. These include various types of psychotherapy, group work, and potentially medication. Therapy can be either behavior oriented or cognitive oriented, or both. Typically behavior therapy uses systematic exposure to unlearning the gambling addiction [1, 2]. Cognitive therapy works on identifying unhealthy irrational, and negative beliefs and replacing with healthy, positive ones [1, 2]. Group work can include intensive outpatient programs where group therapy is the main focus that meets at least 3 times a week, or self help groups. Self help groups are typically community groups that meet once a week, such as Gamblers Anonymous . Medications, typically antidepressants and/or mood stabilizers can help with imbalances that are coupled with compulsive gambling . Often times individuals experience or have a prior history of depression, obsessive compulsive behavior, attention deficit hyperactivity disorder. Medications can be helpful in reducing the behavioral and cognitive symptoms of the addiction. Often times the work done in psychotherapy for gambling addiction is similar to that of substance abuse treatment. The symptoms are similar to that of feeling a loss of control over some aspect of the addict’s life, a preoccupation with the behavior, and continued gambling even with negative consequences . 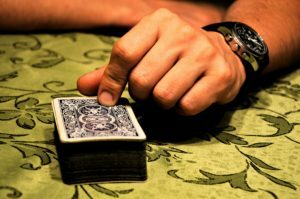 Gambling addictions are typically focused on improving motivation for change as well as strategies in learning self control. Gamblers Anonymous (GA) was created in 1957 and follows the 12-step self help model . In order to recover from the addiction, the process is to move through the steps, in order, along with obtaining a sponsor. Often GA provides support and strength through peer support. GA focuses on the individual attending as many meetings as possible, to refrain from gambling, taking life one day at a time, and utilizing members from the meetings for support outside of the meetings. Gam-Anon is also available for family and friends of the addict. These individuals are able to typically meet while the addicts GA meeting is in progress. These groups offer support and assistance to members also dealing the the addicts issues . In a study of the effectiveness of GA, 232 members were followed and found that 8% remained abstinent after 1 year of utilizing GA, while 7% remained abstinent at the two year mark . 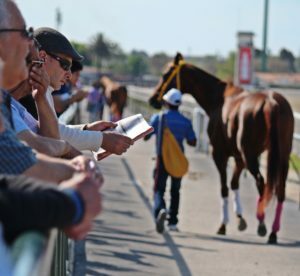 In cognitive behavioral therapy, the goal is to identify the negative thoughts, irrational cognitions and perceptions about the gambling behavior. Cognitive behavioral therapy can be conducted both individually or in group settings. Many therapists or programs use didactic therapy to role-playing to challenge beliefs and attitudes. If done on an outpatient basis, treatment typically lasts anywhere from 8-15 sessions [2, 3]. Cognitive behavioral therapy als uses visualizing scenarios where the addict might be triggered and working on effective coping skills and stress reduction strategies to resist the urge to engage in the behavior. Cognitive behavioral therapy with a gambling addict typically focuses on four components. The first is the correct cognitive distortions about gambling itself. The second is to develop problem solving skills with the addict when faced with triggers or concerns. Thirdly is to teach social skills and distress tolerance skills, and forth is working on a relapse prevention plan and building a support system . Behavioral therapy works with addicts to limit access to money or increases the inability to gamble. This often involves the assistance of family and/or friends. 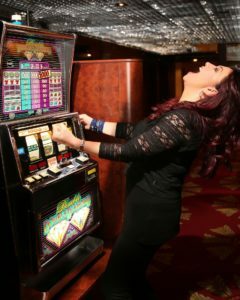 Many times addicts are asked to take self of casino or gambling listservs, meet with a financial planner, cancel credit cards, and in some cases turn control of their finances to someone else. These behavioral interventions are aimed at increasing the difficulty of the person to be able to gamble, or gain access to money to gamble [2, 3, 5]. Psychotherapy’s main goal is to focus on identifying the meaning and maintaining factors behind the gambling. It is to help resolve conflicts and teach effective coping strategies. Often times psychotherapy focuses on the guilt and shame that comes with the recovering addicts consequences. Family therapy is often used within the therapy process to help identify unhealthy family dynamics, and psychoeducation for families to learn more about the addict’s behaviors and addiction as a whole [2, 5]. Effective Treatment for Gambling Addiction is complex and typically requires using more than one modality. Individuals utilizing community support groups like GA, intensive residential or outpatient programs, as well as individual and family therapy can be successful at recovery. 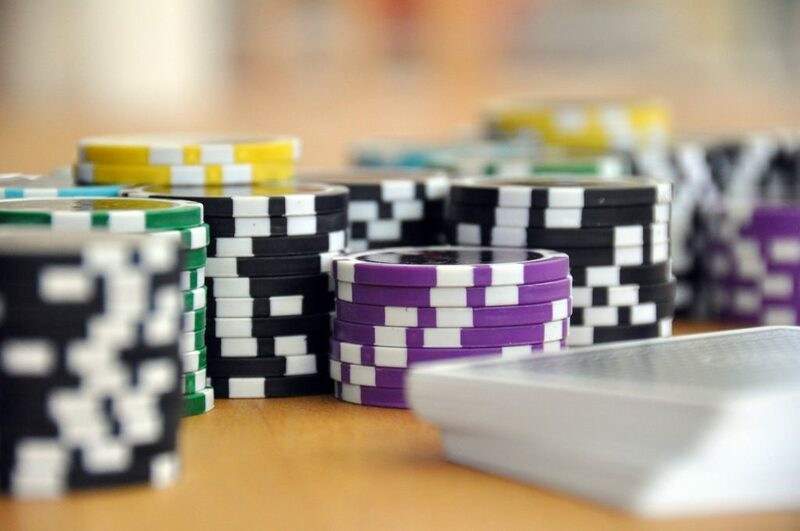 What tools and advice would give to others considering gambling addiction treatment? Are that groups or therapies that worked for you and why? Reviewed By: Jacquelyn Ekern, MS, LPC on March 5, 2017.